Between the sessions at the Bank of America Merrill Lynch Media Communications and Entertainment Conference and IBC, it’s obvious that folks aren’t just coming to play (think Field of Dreams). They are determined to annihilate their opponent(s). Studio/network execs were ecstatic when Disney’s Igor told the world they were taking their major toys (Disney Motion Picture Group, Marvel, ESPN and players to be named at a later date) – away from Hastings Netflix to do their own thing late next year. Stacey Snider, head of 20th Century Fox Films, couldn’t stop herself from kicking dirt at the streaming (OTT – over the top) service during the BofA event, saying their dominance is coming to an end. So, it was obvious at IBC that M&E execs spent more than a little time cussing and discussing the production/distribution giant that quickly spread across the globe and upset the industry’s acquisition budget cart. Catching less flack was Amazon, the etailer/grocery store. Largely overlooked were Hulu, Vimeo, Sling Orange, HBO Now/Go, HOOQ, iFlix, Voot, Hotstar and hundreds of local, regional and specialty streaming video services. YouTube and Facebook have been largely viewed as frienemies – friends because they are great places to build excitement for shows/films with trailers and teaser campaigns and enemies because networks/stations also understand the social gadabouts want “their” content locations to become the screen(s) of choice for content consumers. Since no one is yet certain which business model will be most popular with viewers, the streamers offer their content in a range of flavors – free (ad supported), SVOD (subscription), TVOD (event transaction). Regardless of how people receive/consume the content; everyone (stations, networks, studios, aggregators, distributors) know people can’t ditch their bloated, expensive cable bundle fast enough and they want fresh, new stuff to watch. Everyone Watches – It’s true, everyone is after everyone. Free and subscription folks want/need content for eyeballs. Eyeballs need screens – mobile, big, whatever. Screen people need stuff from the delivery folks and stuff to capture eyeballs. It feels like everyone including Netflix, YouTube, Facebook, Hulu, HBO, Discovery, Alibaba, tencent and others are writing big checks at film festivals for spin-offs, knock-offs and profiled scripts. What is a profiled script? Its big data based on the reception of several given shows, movies and the target audience (female, millennial, middle income, etc.) which is then data crunched. 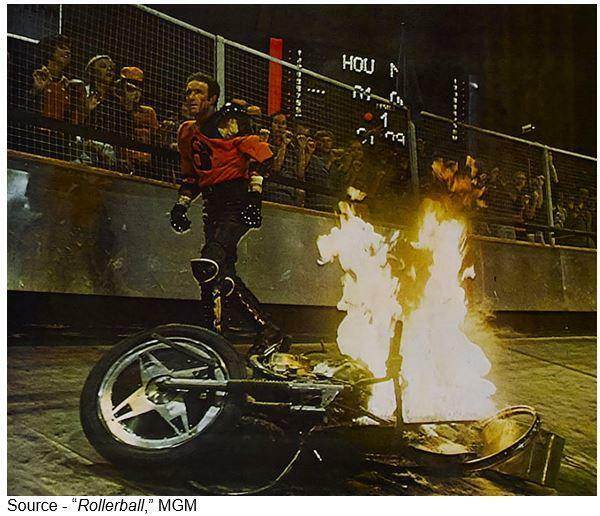 With AI (augmented intelligence) technology, the skeleton profile of the show or movie is outlined and creatives (writers, shooters, sound professionals) work their magic and BAM! a show/movie comes out with a pretty good chance of being a hit (providing good financial returns). Financial folks love ‘em! In 2015, 409 scripted shows were produced for the U.S. TV market; and this year, the industry is estimating 500-plus will be delivered. But executives at the BofA conference and IBC said the volume of content being produced will more than double in the next five years because the fiscal model has shifted and the streaming video market is rapidly becoming deeper and broader. When we discussed the fiscal model shift with Allan McLennan, president of PADEM Media Group, over watered-down drinks and so-so hors d'oeuvres at IBC; he noted that the major adjustment was in the way people thought about and used their entertainment. He related that a couple of months ago, his wife asked if they could leave a party somewhat early because there was a “first run” show she wanted to catch. Fortunately, McLennan had reduced his cable use with a mix of Netflix, Amazon Prime and Hulu for viewing content plus a small behind-the-set antenna for the local channels. The age of “tune in or miss it” is history. So is the old TiVo box a few million people bought to record the show/event for later viewing. Shows are now available from the service’s cloud to be watched when it’s convenient for you … not them. Rising Commitment – Today’s viewers like one thing all the time – their stuff their way. 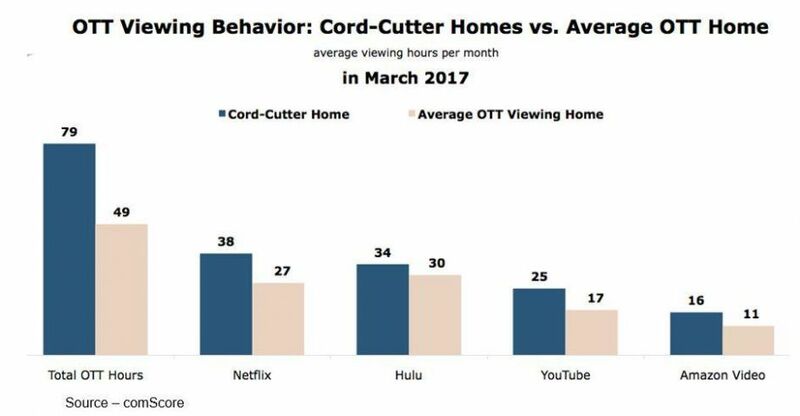 OTT viewers have found their viewing habits normal while cord-cutters seem more intent on showing they are happy with their switch. Even Nielsen, the international currency in listening, viewing, buying reporting service, had to adjust its approach to TV ratings. Previously, a show’s viewership could be reported almost immediately in gross household terms, which was … good ‘nuff. With the growth of online viewing, the reporting period has been extended to five days and can be precisely documented by IP (internet protocol) addresses. Industry content purveyors suddenly discovered folks watched the stuff when they wanted to watch it. A day … week … month … whatever later. Because I Can – Why are more folks choosing to view their content online? Because they can; and surprise, they like it that way. The success of Netflix and Amazon Prime didn’t go unnoticed by others 9cable companies, telcos, social media folks0 who want to be the entertainment channel. Overall, the new offerings from Disney, established service providers and new entrants, as well as YouTube and Facebook, are producing a broad range of choices, which will ultimately improve the quality. McLennan (who isn’t a teen or millennial, for that matter) feels that momentary phenomenons like YouTube’s current megastar, Jake Paul, will always rise and fade with his underwhelming guy activities as curiosities come and go. But for the serious business of business, he emphasized that Disney, Fox, Sony, HBO, Discovery and major studios around the globe already have very large and potentially lucrative libraries of superior content they can refresh/recycle for a viewing hungry audience. These organizations see an opportunity to engage more directly with the viewer wherever he/she lives and regardless of the screen used. In addition, Netflix, Amazon, Hulu are investing in a wide array of excellent content to build their audience base and licensing opportunities. Then too, there are projects from the tens of thousands of very good independent filmmakers who are filling in the gaps with excellent work. With Netflix subscriptions surpassing US cable providers early this year, many people have suggested that OTT is reaching a saturation point. However, there is still considerable growth potential since few consumers are satisfied with one source for their entertainment. Body of Choice – While each streaming service would like to have the tight hold on the consumer like yesteryear’s cable guy did, it’s not the way people roll today. Now, people have several streaming services that meet their constantly changing tastes. “Netflix has driven a major shift in television’s business model,” McLennan noted, “and it’s forcing everyone in the industry to both understand and be highly aware of the other person’s business – content creation, aggregation, distribution. “Television content is no longer a disposable, short-lived commodity but is becoming an established and ever-available medium, a resource that has to be nurtured, managed, marketed and protected,” he added. Because Wi-Fi streaming quality is improving significantly, many have suggested that consumers are abandoning their large screen sets for mobile viewing. However, organizations like Cisco, Akamai, Ooyala and Ericsson that provide hardware/software services and monitor broadband activity find complete abandonment to be more wishful thinking by some rather than fact. On One Size – While the always-with-you smartphone is gaining popularity as the entertainment screen of choice, people appear to be less interested in the screen than the content. Channels may be king but content is queen; and she always wins you over. The debut and theft of HBO’s season 7 Game of Thorns showed that illegal viewing was close to the industry norm. HBO and its distribution partners around the globe addressed the challenge most content producers never think about – the technical challenge of making content available on hundreds of different on-demand platforms TV sets, PC, tablets, smartphones. A challenge that doesn’t receive a lot of attention at IBC or other shows, is one that guarantees the success of content when it is released. But this is starting to change due to the broad appetite of all types of content and new social communities to drive attention. What hasn’t been solved and will have to be solved/resolved by either the cooperative efforts of the service providers or a new category of service solutions is streamlining the ability of the viewer to find the content he/she wants to view … now! 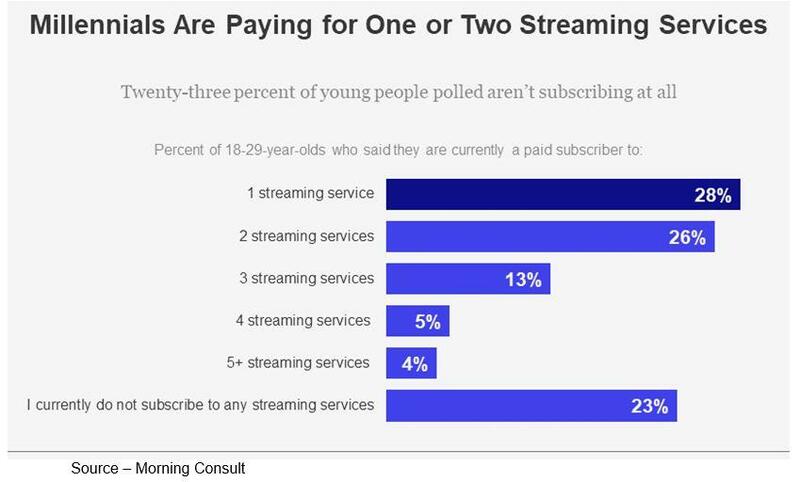 Consumers spend more time choosing what VOD content they would like to watch versus what was served up to them in old-fashioned scheduled linear TV services. Wasting Time – The major complaint OTT viewers have is that they feel it’s difficult to find the content they want–and only the content they want–in the new vast wasteland. According to a recent Ericcson report, broadcast viewers spend 23 minutes a day trying to find something to watch. However, VOD viewers spend 45 percent more time searching their services to find something to fill in the time; and when they have multiple services, that fruitless exercise of finding something they want to watch when they want to watch it can quickly double or worse. With the explosion of quality content from studios, networks and innovative new production outlets, 4K and VR offerings combined with short form, trailers, clips and webisodes are only magnifying the problem. Netflix solved the issue for their subscribers by introducing a rudimentary AI (augmented intelligence) solution several years ago. By constantly improving their recommendation engine, they are close to their goal – minimize/eliminate churn by forecasting what viewers want, developing new content/eliminate old/tired content and providing intelligent viewing recommendations. “There are a lot of exciting solutions being introduced at IBC this year, one of which is in identifying and offering a broader selection of aggregated and personalized content over IP without having to subscribe to a specific service, said McLennan. “The technology available to serve up the same content on current OTT services/channels while being economically sensitive is key to expanding audiences. “This new ecosystem – both content and delivery– can quickly and effectively serve up targeted content recommendations to the viewer, helping to build a new behavior and potentially becoming what the TV world has been promising to become for years,” McLennan emphasized. The disruption of the TV industry has already taken place. Trying to attract viewers to bloated cable bundles is a rapidly becoming a thing of the past. By incorporating robust and intelligent recommendation technology MVPD (multichannel video programming distributors) and cable systems can survive and even thrive in the new streaming video environment.